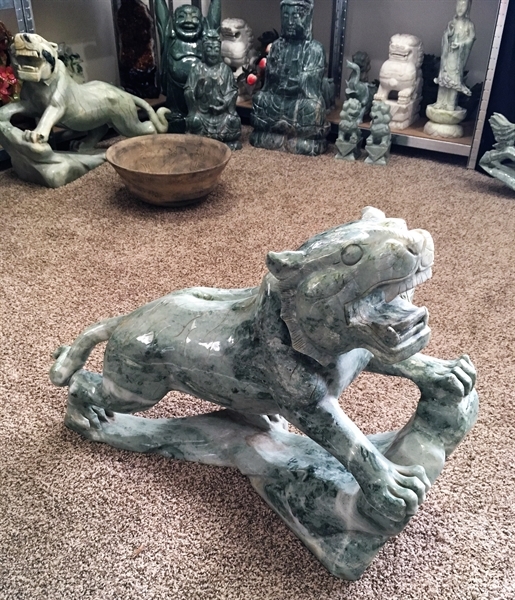 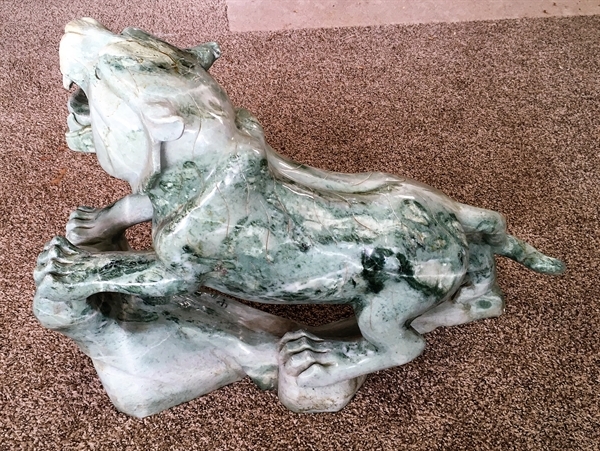 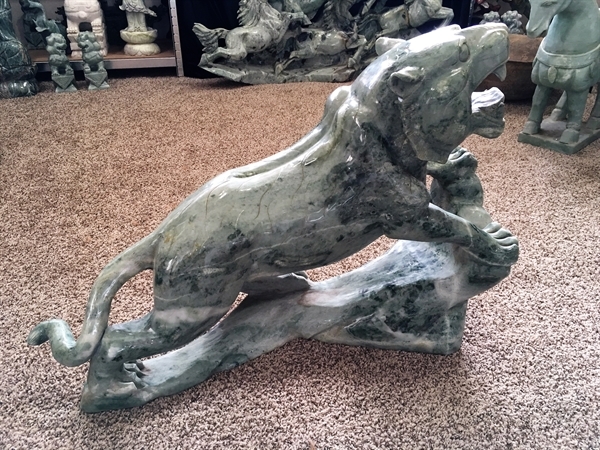 SIZE: LONG 32", DEEP: 10", HIGH: 23"
This jade tiger is made from one solid piece of Jade. 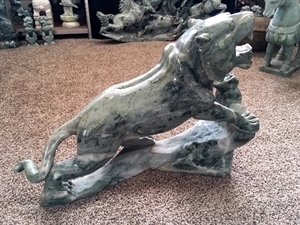 All hand carved. 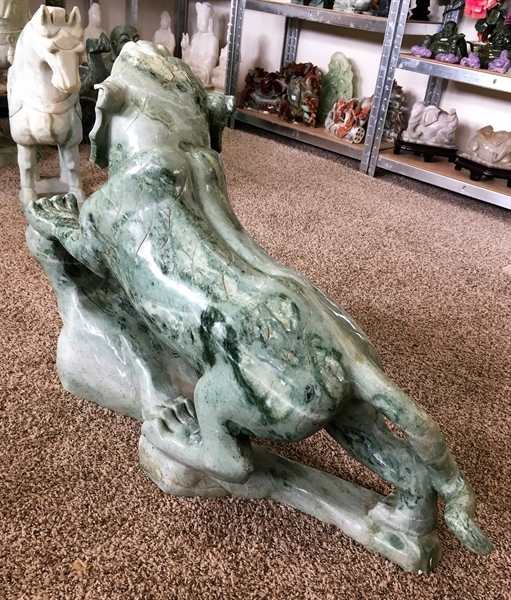 It appears light green with some areas dark green.